A John Deere 5310 patrols the grounds, spraying chopped grass and the glorious aroma of a freshly-mowed lawn. The sprinklers ignite. The arched streams of water couple with the sun to capture momentary glimpses of rainbows. The sun bounces off the aluminum seats, blinding any who enter the genesis of legends. It tells tales of heroes past — #37 Tommy Casanova; #20 Billy Cannon; the National Champions of 1958, 2003, and 2007. Even off-season, Death Valley teems with life. During football season, the Roman Coliseum of Baton Rouge is filled to capacity with spectators chanting and cheering for their modern-day gladiators protected by plastic and foam armor. In February, the stadium is void of bodies, but filled with spirit. It is a sleeping giant. It is Mt. St. Helen’s, lying dormant until the Resurrection. It is Cronos, patiently waiting to return to power. 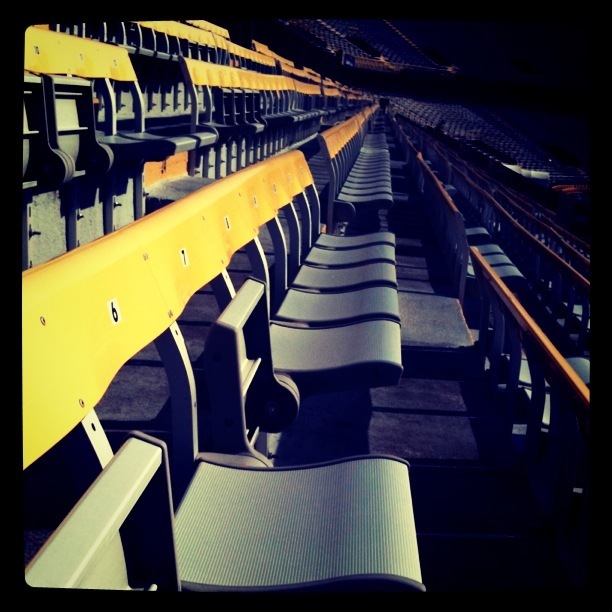 Its purple walls and gold seatbacks embody the spirit of 117 years of fans, ordinary folks who sit at their desks, tend to their children, tap their pencils until they can, again, feel the spirit, the magic and the life that is Tiger Stadium.